The sounds of Montreal echo the loudest on the hidden streets that are tucked away behind the sky scrapers and towers of our city’s busier thoroughfares. On Cathcart Street, just south of Ste-Catherine, the cacophony of high heels hitting the sidewalk, the laughter and chatter of groups going from one place to the next and the quiet hum of traffic is music to the ears of nightlife lovers like myself. These were the sounds I heard a couple of weeks ago as I made my way to Gokudo, a new Japanese inspired bar located in the heart of downtown. A nondescript door and a simple lantern near the corner of Cathcart and Union leads to a cavernous bar that perfectly blends grit and elegance in a way that Montreal does best. Passing through the main entrance of Gokudo we arrive in a small, six-seat restaurant called Ryōshi. 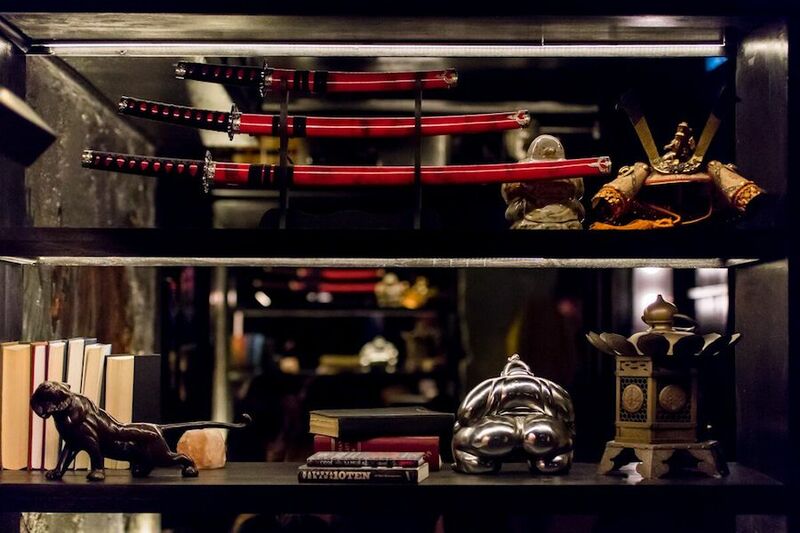 The restaurant’s neo-punk vibe evokes scenes from the Fifth Element and Blade Runner and that feeling is strengthened when we pass through the black curtain and into the cocktail bar. Though the mood is dark, the decor remains sophisticated and warm. 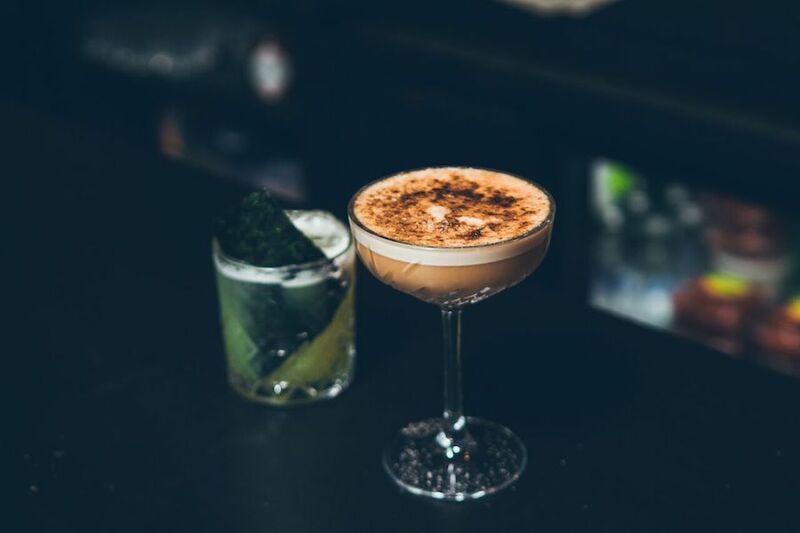 From the team behind the neighbouring Escondite and the still popular Biiru, Gokudo is a perfect escape from the cold winters nights and swirling snowstorms that are just around the corner. 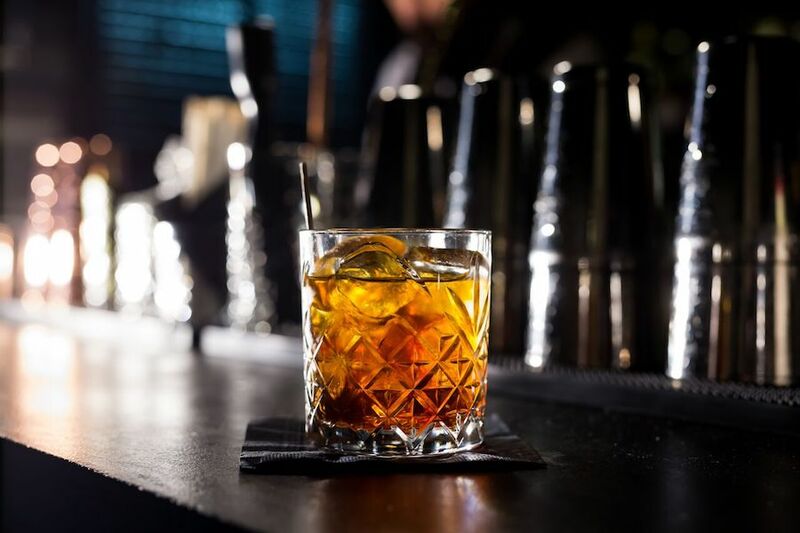 Their delicious cocktails and cool vibe will have us cozying up in the bar’s dark corners, sipping slowly and chatting as the night rolls on. The current cocktail menu features seven sharply crafted cocktails that include everything from seaweed to smoked hickory. I highly recommend the Bunshin (Gibson’s 12 year, Szechwan peppercorn syrup, plum root, beer bitters and hickory smoke); it was fantastic. Gokudo also hosts an impressive selection of sake (some of which are private imports), vodka, scotch, gin, Mezcal, Japanese whiskey and more. 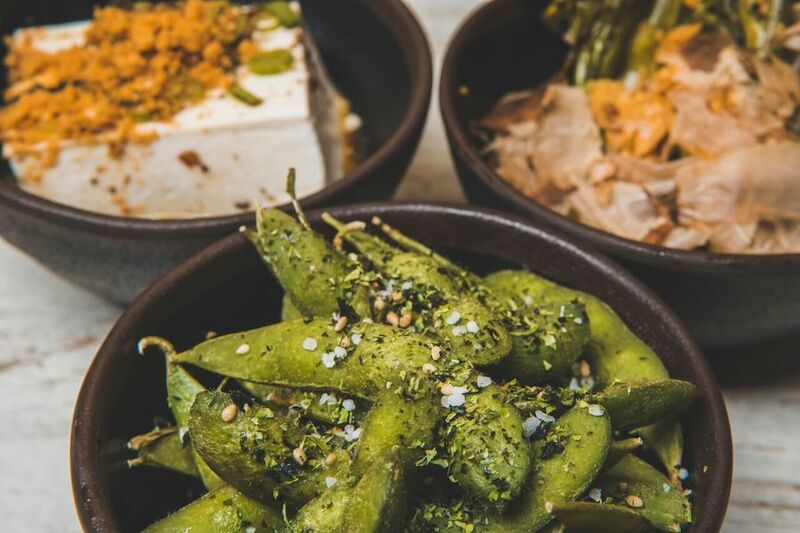 To accompany the cocktails, Gokudo has a concise food menu featuring delicious salads and snacks like piping hot edamame that’s perfect for 5a7 snacking and sharing among friends. 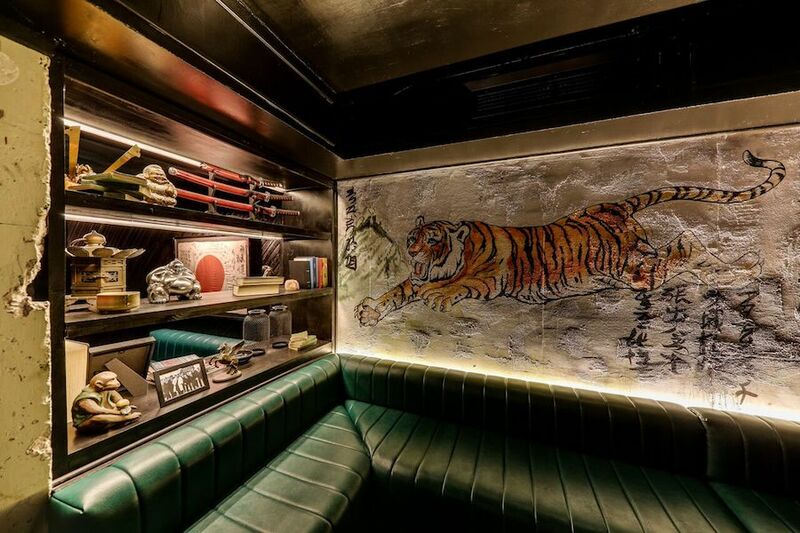 Gokudo is a bar that’s perfectly suited to Montreal’s nightlife but with it’s Japanese twist it adds something a little different and I’m sure you’ll be as impressed as the rest of us. For more info, visit Gokudo’s website here. Certain images credited to JF Galipeau.